On Thursday night the club recognised one of our longest serving committee members, Elspeth Goodrick, thanking her for her time on the committee, and the many years during which has served as treasurer and auditor. Elspeth can’t remember exactly how many years she has held these posts, but her time on the committee goes back the early 90s (she started young). 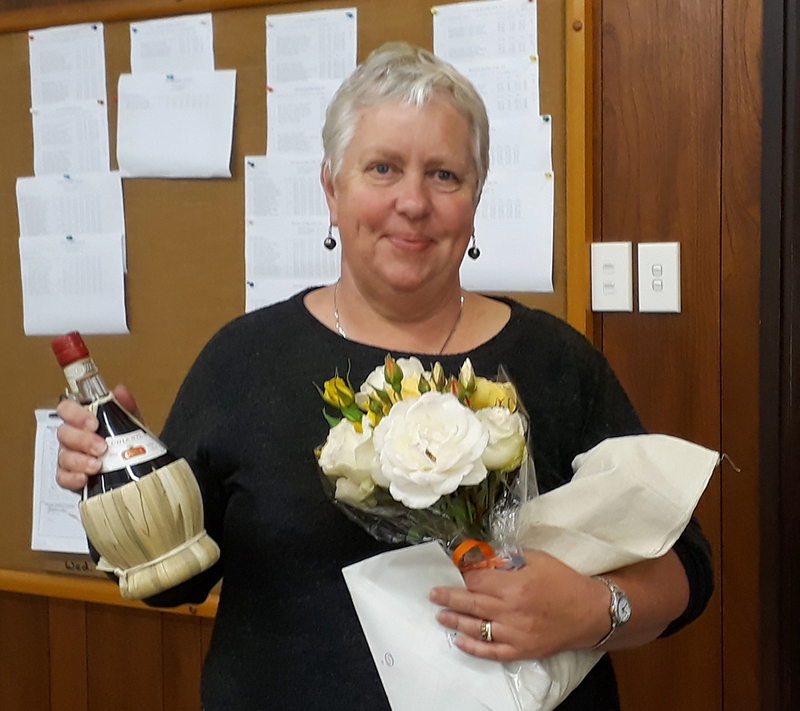 Rotorua Bridge Club is lucky to have the services of members like Elspeth, who work efficiently behind the scenes to ensure the club runs smoothly, and at this time as she is standing down, would like to show appreciation for all her hard work.